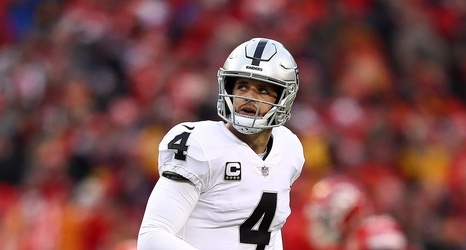 The judgment of Carr’s season depends on who you ask. Those who would defend him would point to his surpassing 4000 yards for the first time in his career and his 10-game streak without an interception. They would also point to the shoddy offensive line that contributed to him getting sacked 51 times. They will point to his 2016 season as proof that he is capable of making big time plays. Those who would criticize him would say he had the lowest touchdown totals of his career (19) and those yards totals and the streak without an interception doesn’t mean much considering how often he chose to check the ball down instead of pushing it deep and therefore not doing enough to get them more than their four wins last season.